Smart home platform Wink today announced the introduction of the Wink Hub 2, which the company says is "better, faster, more reliable, and more secure" than the original Wink Hub. In communication with a connected app, the device acts as a central location for users to connect a variety of smart home electronics in one place. 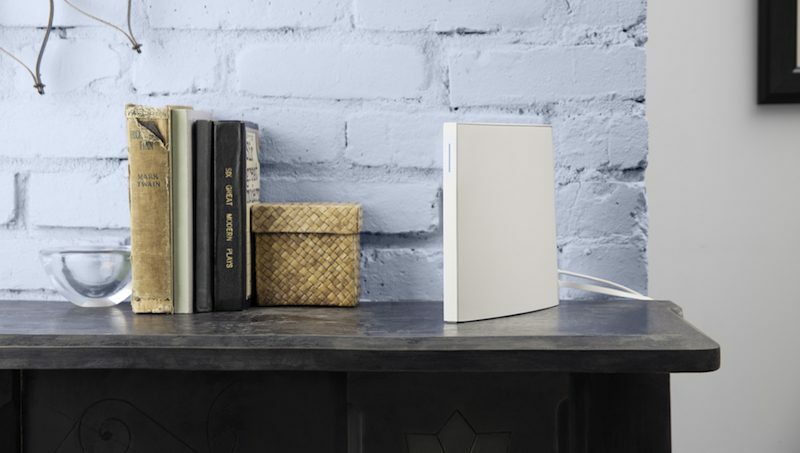 The 25 percent slimmer Wink Hub 2 now supports both 2.4 and 5GHz networks, and comes with an Ethernet port for smoother network connections. Wink also improved the Hub 2's wireless capabilities, so it now supports Kidde, Lutron Clear Connect, Wi-Fi, Z-Wave, ZigBee, and has an improved Bluetooth Low Energy connection. Cryptographic verification, and other hardware security features, have been added as safeguards against tampering, "and ensure Wink Hub 2 only runs trusted software." A faster processor and 8x more memory than the original Hub helps Wink Hub 2 run "advanced automations" including daily "Schedules," so specific devices turn on or off at set times, and "Robots," so the activation of one product triggers actions in other products. Wink Hub 2 includes support for products from brands like Amazon, Philips, Nest, Kwikset, GE, and more. The company said that since these processes are running locally on Wink Hub 2 they gain "increased speed and reliability." The company is also updating its iOS and Android Wink app to version 5.0, introducing a streamlined setup system for new users, and a no-hassle hub-to-hub transfer process for existing Wink Hub owners. Wink Hub 2 will be available in late October for $99 at The Home Depot, Walmart, Amazon, and Wink's own website. 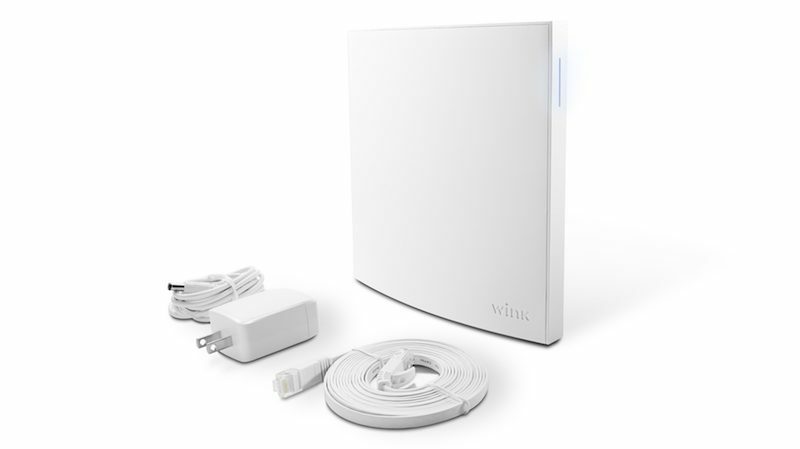 The company will also continue to sell the original Wink Hub for $69 at the same retail and online locations "while supplies last." Users can download the free Wink app from the iOS App Store [Direct Link] now, and the update is said to be launching sometime soon. Update: Wink 2 is now available for $99 from Wink.com, The Home Depot, Walmart, and Amazon. Terrible ecosystem that's been nothing but trouble for me. They fixed a lot of the problems recently but it's too late. I'm all in with HomeKit and Wink doesn't seem interested because they want to build their own ecosystem. Good luck competing against Apple. I've been replacing what I have left which now amounts to a Relay on the wall and a door sensor. I'll be replacing the Wink Relay with an iPad mini mounted to the wall with the Home app on and the door sensor will be replaced by an El Gato HomeKit sensor. Why has no one come out with a homekit enabled zwave hub? I am currently stuck with Smart Things hub running "homebridge" a piece of software that emulates a homekit enabled device. It works rather well, but would appreciate something with support from a reliable company. I am a current Wink user and think this is great news. Until HomeKit speaks other industry standards beyond wifi and bluetooth, like zwave and zigbee, it will not be a very complete smart home solution. They could probably accomplish this fairly easily by building zwave and zigbee into their next Applet TV. For now, I think the best way to build a DIY smart home is with platforms like Wink and SmartThings, even with their shortcomings. Elgato door/window sensor has horrible reviews on Amazon. It seems it didn't used to notify you or trigger when the door is opened, but told you the open/closed state of your door only if you ask the device about it. Supposedly, iOS10 update fixes that shortcoming, but no good review has been posted since then. Please let us know about your experience. Yes, it seems like it was a HomeKit shortcoming. Another one I found is that HomeKit doesn't yet have an option to set a thermostat off when a door open sensor is triggered and back to its previous mode when the door is closed. HomeKit is still very much a work in progress.